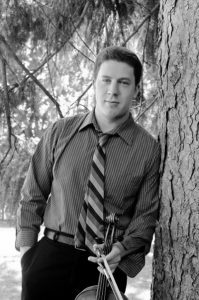 Passionate and approachable violist Colin Brookes delights in drawing audiences into his warm and colorful sound world. A native of Pittsburgh, Pennsylvania, his work as a soloist, chamber musician and teacher has taken him to cities across the United States, Europe, and Central America. An avid chamber musician, he and 4 colleagues founded the Ulysses Quartet in the summer of 2015. They are the winners of the Grand Prize and the Gold Medal in the Senior String Division of the 2016 Fischoff National Chamber Music Competition. Colin has performed as a soloist with Pittsburgh Symphony Orchestra. In June 2013 he gave a solo recital with pianist Euntaek Kim in Cornish, New Hampshire, for the St. Gaudens Concert Series. He is a winner of the Pittsburgh Concert Society, Symphony North Competition, Tuesday Musical Club and Music For Mount Lebanon Competition. As a freelance musician, Colin is a strong advocate of new music and unconventional collaborations. In 2010, alongside members of the group X Ambassadors, he co-wrote the score and recorded the soundtrack of a new short film by NYU Film School graduate Daniel Pfeffer, titled Let There Be Sol. He works with the ensembles A Far Cry Chamber Orchestra, The Knights, Cantata Profana, Le Train Bleu and New York Chamber SoloistsRecent chamber engagements include performances at the Banff International String Quartet Competition, Science Friday presents: The Golden Record Remastered, a tour of the Midwest with Ulysses Quartet, and a weeklong residency at Cornell University.. He is a winner of the Pittsburgh Concert Society, Tuesday Musical Club, and Music for Mount Lebanon Competition. From 2011-2014 Colin was a Teaching Fellow for secondary lessons at the Yale School of Music and a Teaching Assistant for a Yale University undergraduate chamber music performance class. From 2013-2014 he was on the faculty of Fairfield School of Music as a violin and viola teacher, and he currently teaches at the School of Mahanaim in Huntington, NY. Recent travel included a trip to Nosara, Costa Rica in collaboration with the local chapter of the Sistema Nacional De Educaciòn Musical. Colin holds a Bachelor of Music from the Juilliard School, along with a Master of Music, and Artist Diploma from Yale University where he received the Georgina Lucy Grosvenor Memorial Prize. He is currently pursuing a Doctorate of Musical Arts at Stony Brook University under Larry Dutton and Nicholas Cords. Former teachers include Ettore Causa, Heidi Castleman, Misha Amory, Jeffrey Irvine, Roger Chase, Marylene Gingras-Roy and Carolyn Hills. He currently plays on an Italian 19th century viola and bow generously on loan from the Maestro Foundation.